Description of "HINDUS, PAST PRESENT"
Hindus, Past and Present is not written for scholars in the fields of theology, philosophy or history. It has no claim of scholarship or originality. It is a brief account of the evolution of the concept and what it is today. The word was first used by the Arabs and the Persians to identify the people living in a particular geographical area. It did not mean people of a single religion or culture. The British rulers of India used the word to mean anybody not following one of the Abrahamic religions irrespective of whether they are Shaivas, Vaishnavas, Tantrikas, Jainas or Buddhists, and we blindly accepted it. The book goes through its entire evolution from pre-Aryan period to present day. It may help a lay person to trace his history. Dr. Dipak Kumar Chakrabarty taught Chemistry at the Indian Institute of Technology, Bombay for more than thirty years. After retirement, he has been Visiting Professor at several IITs and Universities. He is a honorary Emeritus Professor of the Institute. He has published several books and many research papers. A TALE OF TWO COUNTRIES and ONCE UPON A TIME are his books of fiction available at pothi.com. He now lives in Guwahati. 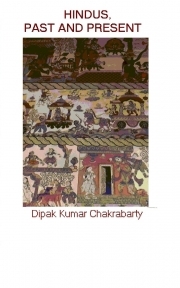 Reviews of "HINDUS, PAST PRESENT"